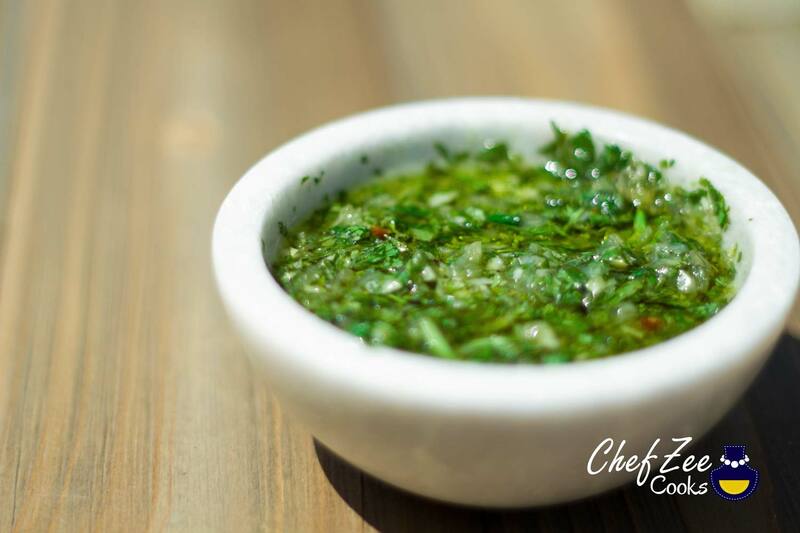 If you’ve ever had Chimichurri Sauce, then you know that this sauce can easily transform any dish and make it better. All hail Argentina for blessing us with this magical sauce! You typically pair this sauce with grilled meats but I also like to eat it with Tostones, yucca fries, burgers and more. Nonetheless, it’s a sauce that I keep in heavy rotation during grilling season. Imagine how wonderful it is to grill pork chops and then drizzle some of this sauce? What you probably don’t realize is that this dish is super EASY to make. 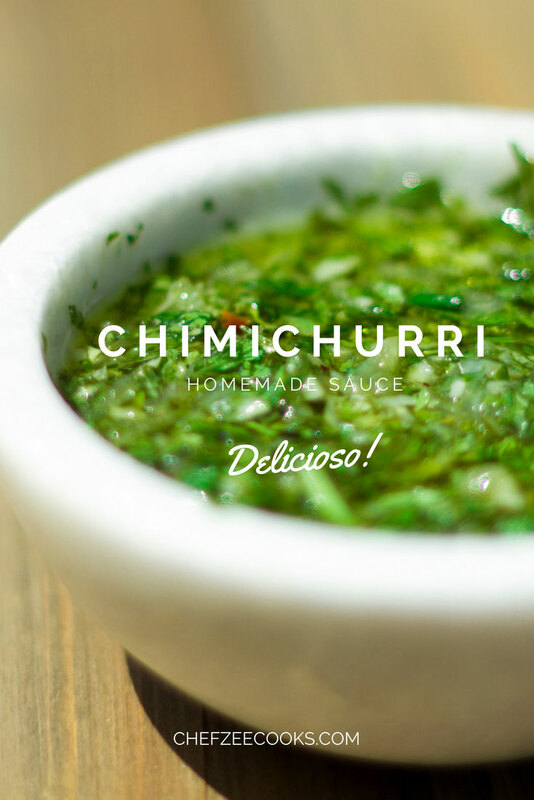 Chimichurri is made from fresh ingredients which is honestly, the reason why this sauce is so delicious. The best part is that you can make this sauce in under 5 minutes. Check out my YouTube video where I show you how to make this sauce and time myself as well to show you just how quick it is! Combine parsley, cilantro, garlic, oregano, onions, salt, pepper, and vinegar in a food processor. Make sure that you pulse the food processor. You want the herbs to be finely chopped but not so much so that they become mush and liquid. I typically pulse my food processor about three times. However, if you want your Chimichurri to be liquid-y then feel free to pulse away! Afterwards, transfer to a bowl and zest ½ to a whole lemon. I love my Chimichurri sauce on the lemony side so I typically zest the whole lemon. Keep in mind, that this is my little twist to this recipe. Not all Chimichurri sauces call for lemon zest but I love the flavor dynamic that this add—plus nothing goes to waste in this kitchen! Lastly, mix in the olive oil and add any more salt and pepper you may want. You can serve immediately or chill before hand. Please note that because all of the acid (lemon and vinegar) in this sauce, your Chimichurri may begin to change in color. If it become a darker green that’s normal and no need to worry. All this means is that the flavors are deepening. Enjoy over grilled meats, tostones, or yucca. Buen provecho!